We would like to thank you for your interest in Palate - Functions & Conferences and we look forward to working with you to plan your next conference or event. 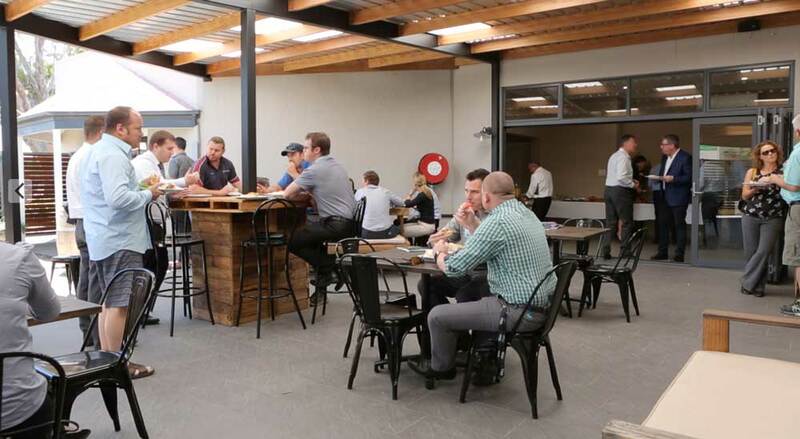 Palate is one of Mudgee's premier conference venues. We take great pride in servicing our client’s needs. Our specialty at Palate Restaurant is ensuring that your event runs smoothly. With our dedicated and professionally trained function staff, you are guaranteed to impress your guests. Our spacious conference venue can accommodate a variety of exhibitions, meetings, team building days, seminars, conferences and anything else you may need to host. We can also provide a number of different meeting room layouts, a few of which can be seen below. Our conference rooms are equipped with all the tools you need for your event such as state of the art technology. Our full audio visual set-up includes a 120” projector and screen, a full Bose sound system, hand held wireless and lapel microphones, an Apple TV for wireless presentations and high speed broadband Wi-Fi access through-out. We can also provide whiteboards, flip charts and break-out areas as required. Functions and conferences are our specialty. Please do not hesitate to contact us with any specific requests that you may have. Our dedicated Mudgee Meetings and Events team will carefully customise a package to suit all your requirements. Contact us now and let’s discuss how we can make your event a great success.